Multi Task Home Services is a local family independent business specialising in the installation and repair of Gas, Electric & Range Cookers in Newcastle upon Tyne, Northumberland, Durham, Teesside, North Yorkshire and the Scottish Borders. We provide a fully comprehensive service covering technical advice, cooker installation and on-site repairs and servicing. In short we offer the complete cooker repairs and servicing solution for domestic customers. As range cooker repair specialist we are authorised agents for Rangemaster, Lacanche, Falcon, Mercury, Westhal and Britannia cookers. Free inspection & estimate within a reasonable area, call us for details. Fixed price labour starts from £60 inclusive depending on type of appliance and geographical location from our base. We are usually cheaper than fixed price repairs offered by national companies. 90% of repairs completed on first visit, saving you time. 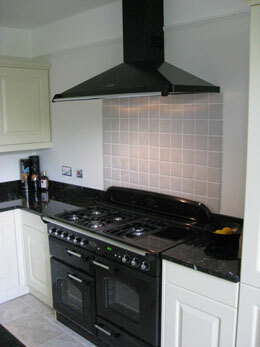 We can help take the hassle out of the installation of a cooker. We have vast amounts of knowledge when it comes to servicing gas appliances. We are gas safe registered and have years of experience.